If you are fed up foggy, cloudy, couls days, think the sunny, warm summer at Lake Balaton. The parties are waiting for you in Siofok!If you are booking the accomodition, you can get significant discount. Siofok - the revolving welt of the summer, the meetings, the uncluded amusements. 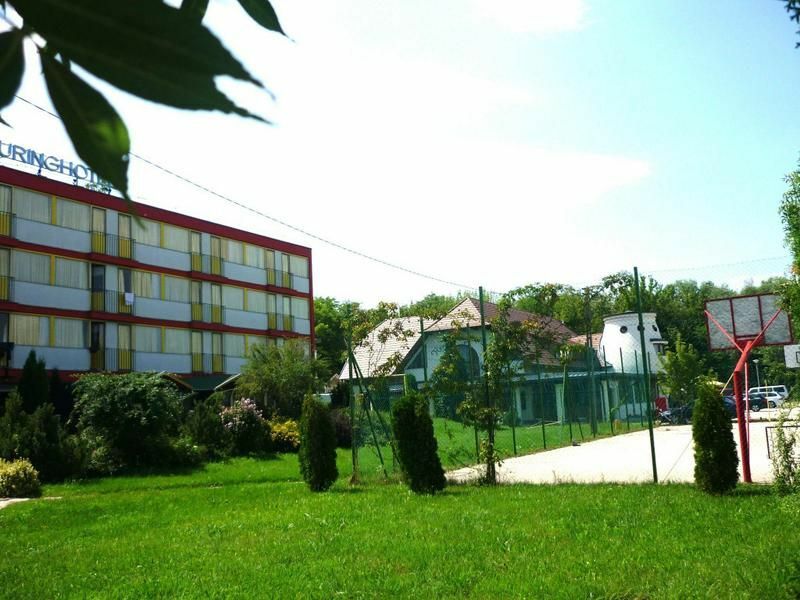 The organisations,pleasure-grounds, discos are waiting for our guests in capital of the summer, at wayfarer place of youngs after the bathed day.Touring Youth Hostel Siofok offer relaxation with friendly prices, cultivated conditions on the beach at Lake Balaton for every age-group. 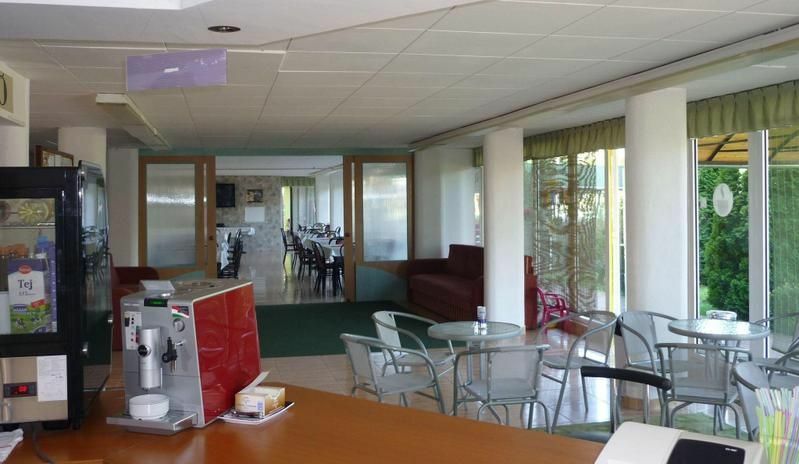 From summer of 2009 You can pay with credit card.There are in the hotel's ground-floor, the large entrance-hall, as well as the restaurant, this is suitable for altogether 60 Person boarding. And there is a computer for internet in this floor.The buffet (with retail price) belong to soft terrace where can seat 24 people.The charge for accomodation contains the unlimited buffet breakfast. We can prepare for the groups in the warm-kitchen lunch or supper. There are 18 double rooms with French balconies on the every floors .We can put extra bed in the rooms, only if necessary.We can accomodate 108 people in 54 doble rooms. If needed we can put 120 person up. In every rooms have washbasins with hot and cold running waterThere are Not toilets and showers in the rooms, but on each floor can be found 5 civilized showers and 4 toilets with separated man and woman section.The hostel has a landscaped area 4000m2, a standard sports field for volleyball and baskettballFort he guests are avaible the big garden, use of safes, secure parking lot, tennis tables, double swings, indicated place for roasting or grill.Not included in the price:Tourism Tax 1,50 EUR per person, per night. 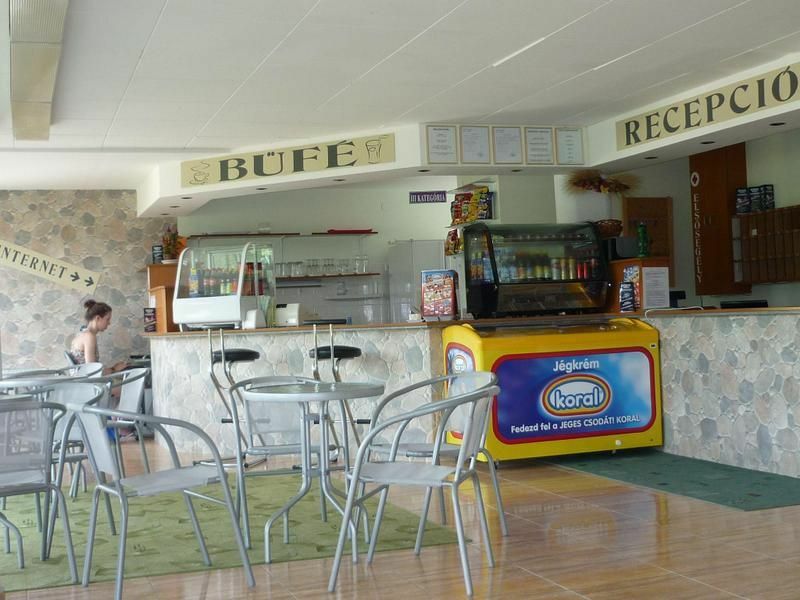 The hotel is 5 minutes walking from the free beach, Siofok, Ezustpart. It lies opposite of railway station Balatonszeplak-Fels?, that is to say by direct man road nr. 7.You can easily reach.by train or by car. The fourlevels hotel can be found from the most known disco of the surrounding, disco Palace. Coke Club is also lowly accessible at MAV line (by train) by lokalbus, or on foot (max 3 km).The Galerius termalbath is easy of access, only two station by train.